Women will comprise nearly half the boardroom of Canada’s largest property and casualty insurer if shareholders vote for Intact Financial Corp.’s recently-released slate of board nominees. Jane Kinney, a former global chief risk officer for Deloitte, is a new nominee to Intact’s board. 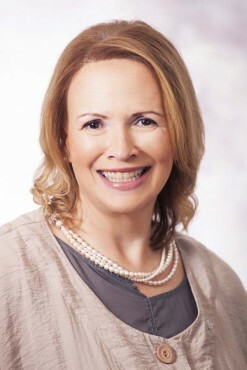 Four women currently serving as members of Intact’s board include Carol Stephenson (former CEO of Lucent Technologies Canada), Eileen Mercier (former chief financial officer of Abitibi-Price Inc.), Janet De Silva (president and CEO of the Toronto Region Board of Trade) and Sylvie Paquette (pictured), a former president of Desjardins General Insurance Group. Intact has a policy requiring 30% representation from each gender on its board of directors. Robert Crispin, a director since 2004, is not standing for re-election to the board. Although he will step down from the board as of May 8, he will serve on Intact’s U.S. advisory board, and on the board of one of Intact’s international operating subsidiaries, the Toronto-based property and casualty insurer noted a management proxy circular released on Apr. 5. Intact acquired commercial carrier OneBeacon Insurance Group Ltd. of Plymouth, Minn. in 2017. “Mr. Crispin has been instrumental in building and growing the Company into what it is today through his continued commitment and dedication especially through his leadership of our Audit, Risk and Investment committees as well as his service on our Compliance Review and Corporate Governance committee,” Intact said in a management information circular released Mar. 29. The other 11 Intact directors are standing for re-election to the board of Intact, which is traded on the Toronto Stock Exchange. The other Intact directors who plan to stand for re-election are CEO Charles Brindamour, chairman Claude Dussault, Magna International chair William Young, Robert Leary (former CEO of ING Insurance U.S.), Timothy Penner (former president of Proctor and Gamble Canada), Frederick Singer (CEO of educational software maker Echo360) and Stephen Snyder, former CEO of TransAlta Corp.
Director elections are scheduled May 8 at Intact’s annual shareholders’ meeting at the Art Gallery of Ontario in downtown Toronto.